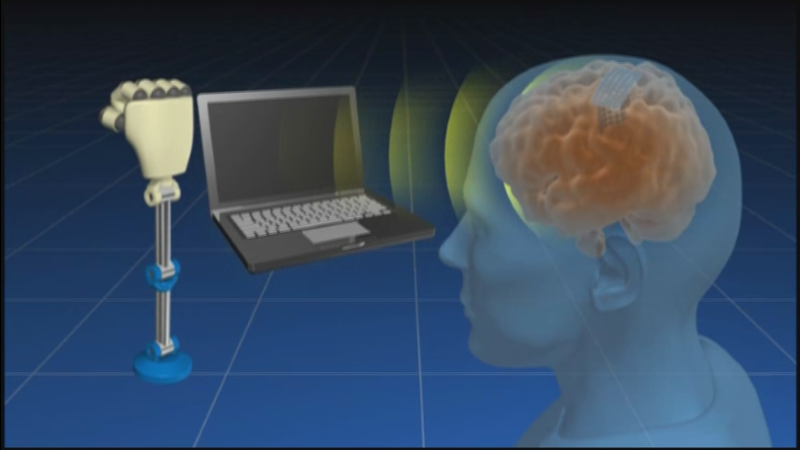 Our research focus is to develop high performance BMIs that support seriously disabled people for motor and communication control using accurate electrical neural activity (electrocorticograms) recorded from an electrode sheet placed directly on the brain surface. This method needs invasive surgical manipulation, but it is superior to other methods regarding long term recording stability. A fully implantable wireless device enables high performance BMIs available for 24 hours / day and may be convenient and useful for severely disabled people. 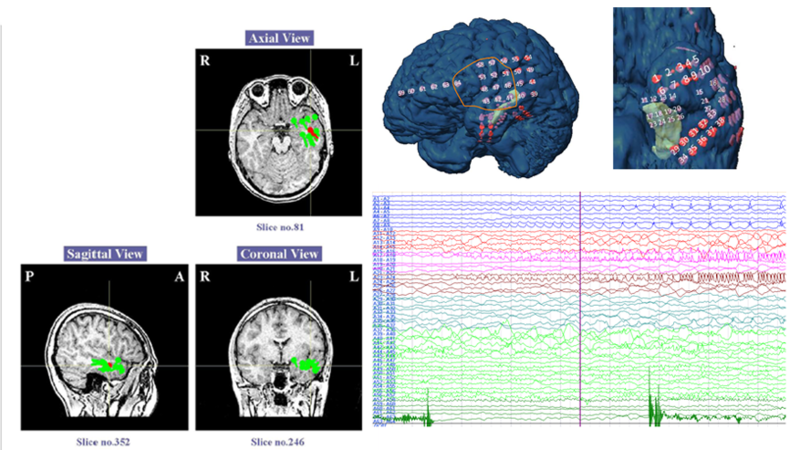 Our BMI records accurate brain activity (electrocorticograms: ECoGs) using an electrode sheet placed directly on the brain surface, decode it using machine learning methods, and supports disabled people by motor and communication control. Patients with “locked‐in syndrome” cannot move nor speak due to neuromuscular disorders although their sensory and cognitive functions are still intact. This seems to be extremely stressful. 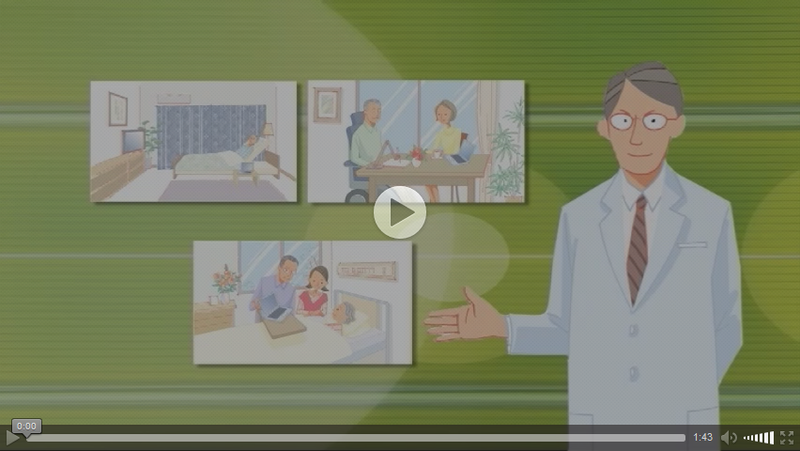 We aim to provide these patients with motor and communication support by using ECoG-based BMIs, and help them to live a comfortable and active life with less care burden. Our final goal is to improve our technology to be widely used by more than 2 millions of physically disabled people. After we obtained informed consent from a completely paralyzed patient with amyotrophic lateral sclerosis (ALS), we placed an electrode sheet on his brain surface. It is necessary to implant not only electrode sheet but also the whole device with sufficiently small and wireless circuits, so that the patients can use them at home for a long term. Therefore we developed a fully wireless implantable device and performed preclinical chronic implantation for six months. As a result, the patient successfully manipulated a robotic hand using only his brain surface neural activity (electrocorticograms), from which we inferred his imagined hand movements by using machine learning methods. The preclinical chronic implantation demonstrated no inflammatory reaction in the cortical tissues under the electrode sheet, indicating that the implantable device is safe and stable for a long term. In this project, we aim to improve the wireless implantable device to be safely implantable to human and also aim to improve the robotic arm with higher performance. We will perform long-term clinical research and clinical trials using these devices to finally realize clinical application. Copyright © 2016 OSAKA UNIVERSITY. All rights reserved.